HITO really helped us out of a bind. We had a customer on a major project demanding a really detailed schedule and we needed to get the schedule revised quick. After contacting HITO we had a revised schedule in just a few days. Really knowledgeable guys that work very closely with our PM’s to get the weekly updates done timely. He helped our subcontractor “see the light” by graphing the craft levels required to meet schedule, from the schedule. 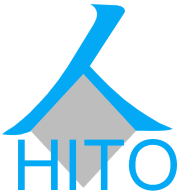 HITO Management understands and knows the work down to the smallest of details. Flipbook provides extra onsite guidance for your team to ensure the project is working to the plan and stays on schedule. It’s like nothing I’ve ever seen before.